The Household Budget Survey (HBS) is among the largest and most important of the data collection programmes which the Central Statistics Office in Ireland carries out. Every five years a random sample of 10,000 households are polled about their expenditure patterns. The aim is to determine in detail the pattern of household expenditure in order to update the Consumer Price Index. Inpute was tasked with devising a system which would automate and streamline the processing of 100,000 pieces of highly varied, unformatted data and deliver substantial cost and resource savings. John O’Reilly of IT Corporate Systems at the CSO explains that each household member over the age of 16 is asked to maintain a detailed diary of their expenditure over a two-week period. Participants were encouraged to return till receipts to CSO in-lieu of entering handwritten detail in the diary booklet. This reduces the burden on respondents, while also enhancing the accuracy of the information collected. “It does however add another layer of complexity to the data processing operation,” says O’Reilly. Information from the expenditure diaries was already being captured by Teleform, a form recognition software solution which Inpute had implemented some years earlier. In the context of structured templates like the diaries, it worked perfectly. As the system stood however, it was not a viable option to automatically capture data from till receipts. Prior to HBS 2015 receipts data was manually keyed in by a team of data entry operators over a period of months. Variety is the issue here. Till receipts vary hugely from store to store. Totals, discounts, dates and numbering sequences appear in different places on different parts of the receipt. Identical products are described in different ways, while many receipts also carry marketing messages unrelated to the underlying price data. In short, no two till receipts are the same, while the paper itself is invariably of poor quality which fades quickly and creases easily. 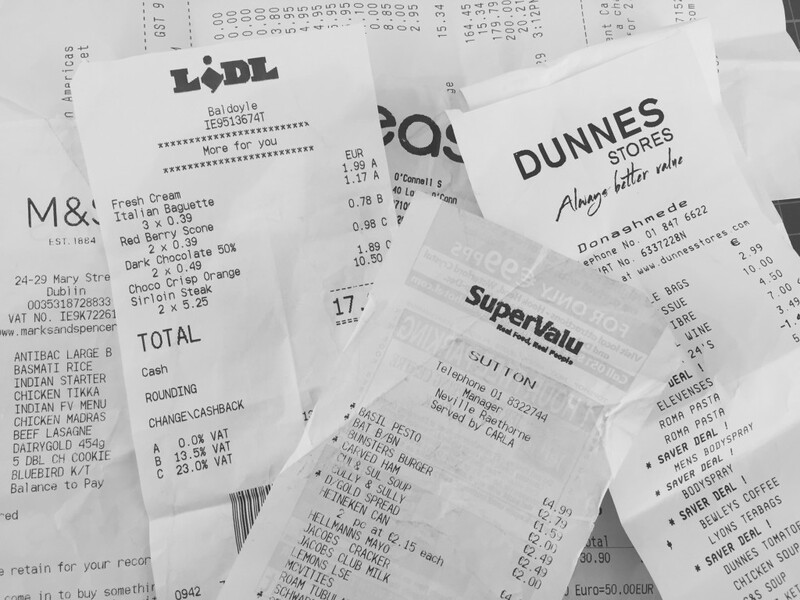 A solution which could deal with the unstructured nature of the till receipts seemed highly unlikely,” says John O’Reilly. Integrating with existing systems was a key deliverable for the CSO. It was vital that the intelligent capture solution which Inpute provided worked with the existing form recognition software which would continue to capture the diary data. These twin data sets – receipts and diaries – needed to be linked and directly traceable to the source documents. Inpute began working closely with the CSO to agree the specification, and then set about customising their intelligent capture software so that it merged seamlessly with the CSO’s existing systems. Implementation went very smoothly; minor issues which arose during the UAT phase were quickly and effectively dealt with. Feedback from HBS survey staff has been very positive, with ease of use being the key benefit. An image of the receipt is presented side-by-side with a table of what the software has read, making the interface easy to navigate and correct.